The seminal Second Amendment Heller case (District of Columbia vs. Heller, 554 U.S. 570, 128 S. Ct. 2783, 171 L. Ed. 2d 637 (2008)) made categorically clear and unequivocal that the right of the people to keep and bear arms is an individual right unconnected with one’s service in a militia; and the seminal Second Amendment McDonald case (McDonald v. Chicago, 561 U. S. 742, 780, 130 S. Ct. 3020, 177 L. Ed. 2d 894 (2010)) that followed Heller, two years later, made clear that the right of the people to keep and bear arms—an individual right—applies to the States as well as to the federal Government. Unfortunately, many State Legislatures, along with many legislators in Congress and, worst of all, many jurists on State or Federal Courts strongly oppose the holdings and reasoning of the Majority in Heller and McDonald. This animosity carries over to and is reflected in poorly drafted legislation and in poorly crafted legal opinions. Occasionally, though, State Legislatures and Congress get it right, and do draft laws recognizing the fundamental right of the people to keep and bear arms. Congressman Chris Collins’ (NY-27) Second Amendment Guarantee Act (“SAGA”) that the Congressman recently introduced in Congress is just such a bill. We heartily support the Congressman’s efforts. But, what might we expect? WHAT IS THE POSSIBILITY OF PASSAGE OF THE SECOND AMENDMENT GUARANTEE ACT? Unfortunately, not good. We take our cue from other pro-Second Amendment bills. We have yet to see movement on several national handgun carry reciprocity bills that presently exist in a state of limbo, locked up in Committee. Even if Congressman Collins’ bill makes it out of Committee, and, further, is voted on and passes a full House vote, it likely would be held up in the Senate where it must garner a super majority—60 votes—to pass and see enactment. The bill likely would not pass as a “stand-alone” bill in any event. That means the bill would have to be tacked on to other legislation to have any chance of passage. But, assuming the bill were enacted, what might we expect from it? WHY DID CONGRESSMAN COLLINS DRAFT THE SECOND AMENDMENT GUARANTEE ACT AND WHAT IS THE PURPOSE OF THE BILL? According to the Congressman’s Press Release “Congressman Chris Collins (NY-27) has proposed new measures for protecting Second Amendment rights by introducing legislation to limit states authority when it comes to regulating rifles and shotguns, commonly used by sportsmen and sportswomen. The Second Amendment Guarantee Act (SAGA) would prevent states from implementing any regulations on these weapons that are more restrictive than what is required by federal law. Upon passage of this bill, most of the language included in New York State’s Secure Ammunition and Firearms Enforcement (SAFE) Act of 2013 signed into law by Governor Cuomo would be void.” But, is that true? Is the Press Release accurate? Or, does the Press Release presume more about the bill than what the bill produces, in the event the bill, as drafted, sees the light of day and becomes law? The bill (H.R. 3576), amends Section 927 (Effect on State Law) of Chapter 44 (Firearms), of Title 18 (Crimes and Criminal Procedure) of the U.S. Code. What does the modification of Section 927 of Title 18 of the U.S. Code purport to do; and what does the modification of Section 927 of Title 18 of the U.S. Code mean? To understand the import of Congressman Collins’ bill, it is first helpful, in this instance, to understand what those who oppose it would do to challenge it, assuming the Second Amendment Guarantee Act does become law—which is far from clear given Democrats’ hysterical aversion to the Second Amendment and Republicans’ constant foot-dragging. IF ANTIGUN GROUPS AND LEGISLATORS CHALLENGE THE BILL IN THE EVENT IT BECAME LAW, UNDER WHAT GROUND MIGHT THE BILL BE CHALLENGED? Congressman Collins’ bill is likely to face stiff opposition and resistance in Congress prior to enactment—assuming it even moves out of Committee—as it would almost certainly be challenged, inter alia, on Constitutional, Tenth Amendment grounds were the bill to become law. What does the Tenth Amendment say? The Tenth Amendment to the U.S. Constitution says: The powers not delegated to the United States by the Constitution, nor prohibited by it to the States, are reserved to the States respectively, or to the people. The Tenth Amendment has always been a sticky wicket, especially in matters involving the Second Amendment because the matter of firearms’ regulations and licensing, apart from the regulation and licensing of machine guns, short-barreled rifles and shotguns, and destructive devices, falls, traditionally, within the police powers of a State. Although the federal Government has, in the last several decades, amassed ever more powers unto itself, the fact of the matter is that this Nation is a confederation of independent sovereign States. This idea seems to be lost on people, not least of all in light of the present “Charlottesville” episode—a matter which the Arbalest Quarrel will be writing on in the near future, taking the mainstream news media to task for unleashing a wave of opinionated fake news on the matter, and which the mainstream media is egging the Trump Administration to handle, on the federal level, to support Marxist efforts to erase our Nation’s history, traditions, and core values. Yet, the federal Government cannot indiscriminately, lawfully, run roughshod over the States and the people. In the matter of Congressman Collins’ bill, the Second Amendment Guarantee Act, this creates something of a quandary; for, the bill—as the Congressman articulates through his Press Release—substantially preempts States’ rights on matters of firearms regulations and licensing. The paramount question is this: if Congressman Collins’ bill does become law, can those, who would then seek to mount a Tenth Amendment challenge against it, likely succeed in the Courts? The answer isn’t clear, but, a careful analysis of the bill’s text suggests the bill can survive a Tenth Amendment challenge, as it was carefully drafted to sidestep just such a challenge. Why do we say this? Well, looking at the Tenth Amendment issue, the actual drafter or drafters of the bill made clear the intent of the Act to supersede State regulation of and licensing of firearms; for, Congress would, under the Second Amendment Guarantee Act, be exercising its authority to regulate firearms moving in interstate commerce. It is a categorical, unequivocal principle of law that Congress has plenary power to regulate goods moving in interstate commerce under the Commerce clause. On that matter, no legitimate legal question exists, as the U.S. Supreme Court has made this point abundantly clear. So, the Second Amendment Guarantee Act would likely survive a Tenth Amendment challenge. But, the strength of the bill, as drafted, also poses a weakness, notwithstanding. For, while State laws, such as New York’s SAFE Act and Maryland’s Firearm Safety Act, cannot, if Collins’ bill is enacted, most likely preclude importation of firearms into their State—including and importantly so-called assault weapons, as importation of such firearms affects interstate commerce and federal law, would, under the Second Amendment Guarantee Act, preempt State law in matters affecting interstate commerce—still, once the firearms are presented in States such as New York and Maryland, it isn’t clear, from the present language of the bill, that firearms’ dealers would be able to sell or trade such “assault weapons” to individuals residing in those States, so long as laws such as the SAFE Act and the Firearm Safety Act are in effect. And, those Acts would still be in effect. For, contrary to Collins’ Press Release, restrictive State gun laws, such as the NY Safe Act, do not, ipso facto, become nugatory. A legal challenge to the constitutionality of New York’s Safe Act and Maryland’s Firearm Safety Act would have to be made. But, once made, it is still unclear whether the Safe Act and the Firearm Safety Act could not prevent transfers of “assault weapons” to individuals, not under disability, within the State, on the ground that regulation of “assault weapons” was being conducted intrastate, thereby not affecting interstate commerce. The question, from the standpoint of those challenging restrictive gun legislation existent in States such as New York, Maryland, California, Hawaii, and others, then becomes whether so-called “assault weapons” that some States wish to ban and, at present, have banned outright, can be sold as “protected” firearms under federal law, once they are in a State, such as New York. If so, that means, then, that States could not legally proscribe the transfer, ownership, and possession of those weapons, try as they might. The issue raised by the Second Amendment Guarantee Act is analogous to the matter pertaining to machine guns, submachine guns, and selective fire weapons, as federal law completely preempts the field concerning those weapons, which means that States have absolutely no legal power to enact laws involving the regulation, licensing, and disposition of those kinds of weapons in their States. Federal law completely preempts the field in matters involving the licensing, regulation, and disposition of machine guns. “(1) Except as provided in paragraph (2), it shall be unlawful for any person to transfer or possess a machinegun. Keep in mind that Congressman Collins’ bill modifies Section 927 of Title 18 of the U.S. Code only, which deals with federal preemption of State law regulation of firearms, generally, but the bill modifies nothing in Section 922 of Title 18, where one would expect to find an assertion of those particular firearms and firearms’ components that federal law is preempting States from regulating and there is no modification of Section 5845 of Title 26 (Internal Revenue Code) where firearm terminology is specifically defined. And, it is in Section 922 of Title 18 of the U.S. Code that we see federal preemption of regulation of machine guns; and it is in that same Section of Title 18 that, in 1994, Congress expressly banned ownership and possession of “assault weapons,” nationally—as part of antigun efforts that orchestrated enactment of the “Violent Crime Control and Law Enforcement Act of 1994.” A national ban on the transfer of and ownership of so-called “assault weapons,” along with a ban on LCMs, was set forth in federal law, subsumed in Section 922 of Title 18 of the U.S. Code. But inclusion of an “assault weapons” provision of Section 922 of Title 18 of the U.S. Code, which added a paragraph “v” which made it “unlawful for a person to manufacture, transfer, or possess a semiautomatic assault weapon,” and inclusion of a ban on large capacity magazines, set forth in paragraph “w” of Section 922 of Title 18 of the U.S. Code, which made it “unlawful for a person to transfer or possess a large capacity ammunition feeding device,” both expired in September of 2003. Those provisions of Section 922 of Title 18 of the U.S. Code were never reauthorized, despite subsequent and numerous efforts by antigun politicians to do so. Congressman Collins, a staunch proponent of the Second Amendment, clearly seeks, through enactment of his bill, to provide Americans the converse—the flipside—of efforts to curb exercise of the right of the people to keep and bear arms. The Second Amendment Guarantee Act, as some would argue, proscribes States from regulating all categories of rifle and shotgun, thereby curbing, with one fell swoop, attempts by any State Legislature to impose specific restrictions on the ownership and possession of one large category of firearms, those subsumed under the nomenclature “assault weapons,” and curbing, as well, attempts by any State Legislature to impose size restrictions on ammunition magazines. But, does Congressman Collins’ bill, that modifies Section 927 of Title 18 of the U.S. Code, make federal preemption of regulation of assault weapons and other firearms’ components absolutely clear? Collins’ bill deletes the first word of Section 927—the word, “No,”—and replaces that word with the phrase, “Except as provided,” and, then adds language, establishing, inter alia, that States cannot enact laws pertaining to rifles and shotguns that are “more restrictive. . . with respect to such a rifle or shotgun.” But, and this is an important, but, is such language enough to negate restrictive State firearms’ legislation such as the NY Safe Act? We don’t think so—thus, the failings of the bill, in its current form. For, what do the words, ‘more restrictive with respect to such a rifle or shotgun,’ mean, here? Had Congressman Collins’ bill been more explicit and precise, we believe that language should appear in Section 922 of Title 18 of the U.S. Code that would work in tandem with the language appearing in Section 927 of Title 18 of the U.S. Code. And, in Section 5845 of Title 26, we would like to see language that clearly and specifically defines the expression ‘semiautomatic weapons.’ And, in Section 922 of Title 18, we would like to see language that sets forth the lawful transfer of all semiautomatic weapons to individuals, not under disability. The federal preemption Statute, namely, Section 927 of Title 18, as modified in the Second Amendment Guarantee Act would then make federal preemption of the entire field of semiautomatic firearms abundantly and categorically clear. Ideally, language modifying Section 5845 of Title 26, and modifying Sections 922 and 927 of Title 18 of the U.S. Code would establish federal preemption of the entire field of firearms but–and this next point is critical–only to the extent that such modifications serve to enhance the citizen’s right to keep and bear arms under the Second Amendment. We have no desire to see federal preemption leading to mass registration of firearms and draconian licensing measures on the federal level that we already see much too often on the State level. Ideally, language in the Congressman’s bill would have set forth, in Section 922 of Title 18 of the U.S. Code explicit protection of all commercial transactions, among all the people, who are not under disability (as categories of disability are set forth with particularity in paragraph “g” of Section 922 of Title 18), involving all firearms—rifles, shotguns and pistols, whatever the configuration or mode of operation of those rifles, shotguns, and pistols; and, further, Collins’ bill should have included language doing away with BATFE licensing of such firearms as well, which, in the case of machine guns, involves a lengthy, time-consuming, expensive and mentally exhaustive process that does nothing to enshrine the Second Amendment right of the people to keep and bear arms, as exercise of that fundamental right is unduly hampered by a multitude of administrative obstacles. Lastly, we would like to see firearms’ licensing at both the State and Federal levels ended. As a parenthetical note, we point out that Congressman Collins’ bill is altogether silent on the matter of handguns which means that, under his bill, handguns would not be subject to federal preemption. States would still be able to impose draconian restrictions on the American citizenry in matters involving handguns. But, why should Americans suffer the indignity of exhaustive, extensive, and expensive firearms’ regulatory hurdles at all? One doesn’t need a license to freely exercise one’s right of free speech—at least at the moment—although leftwing groups—most notoriously, the so-called “ANTIFA,” an anarchist/communist, domestic terrorist group (as much as any other terrorist group that this Country formally recognizes), is doing its best to constrain the right of free expression in this Country. Why must one secure a license to exercise a fundamental natural right of self-defense, as firearms are the best means available to secure one’s safety and well-being when threatened and access to firearms, for those not under disability (as set forth in paragraph “g” of Section 922 of Title 18 of the U.S. Code), is guaranteed under the Second Amendment! Congressman Collins’ modification of Section 927 of Title 18 of the U.S. Code, alone, does not, we believe, adequately establish federal preemption of firearms’ regulation because the purpose of Section 927 is simply designed to preclude conflict between State and Federal firearms laws. That is the Section’s only purpose. Its purpose is not to define the kinds of firearms that fall under the auspices of federal preemption—which is addressed, and is meant to be addressed in Section 5845 of Title 26 of the U.S. Code (referred to more specifically as the Internal Revenue Code of the U.S. Code) and does not set forth the manner in which federal preemption of firearms is specifically addressed, as is the case with machine guns, as set forth in paragraph “o” of Section 922 of Title 18 of the U.S. Code. We also note that the Congressman’s bill, as drafted, uses the permissive ‘may,’ rather than the obligatory ‘shall’ suggesting, then, that States might still regulate firearms, transecting, then, federal preemption, rather than being totally eclipsed by it. Furthermore, as drafted, Congressman Collins’ bill does not adequately establish the kinds of firearms that he intends federal law to preempt. The draft language of the bill simply sets forth that State law “may not” enact a law “that is more restrictive, or impose any penalty, tax, fee, or charge with respect to such a rifle or shotgun or such conduct, in an amount greater, than is provided under Federal law.” But, federal law, Sections 921 et. seq., direct attention to machine guns. Federal law does not address so-called “assault weapons”—semiautomatic weapons and, in New York, revolving cylinder shotguns (which are also defined as ‘assault weapons’). Consider: had federal law still imposed federal licensing requirements on “assault weapons,” as it once had, in 1994, then New York’s SAFE Act and Maryland’s Firearm Safety Act, regulating such weapons, likely would have been struck down as unlawful under Section 927 because Federal law had, at that time, in effect, at least, preempted the field as to the regulation of assault weapons and large capacity magazines. What this means is that such restrictive State gun laws, regulating or proscribing ownership and possession of “assault weapons,” at that time, would either have been redundant, if otherwise consistent with federal law, or unlawful, if inconsistent with federal law. 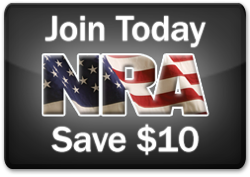 The bottom line: In its present form, Congressman Collins’ Second Amendment Guarantee Act (“SAGA”), is a good start toward giving the Second Amendment full effect, as the framers of our Bill of Rights intended. And the Congressman is to be commended for his effort. But the bill, as drafted, leaves, we feel, too much uncertainty, in its present form, to be effective in defeating restrictive, draconian State gun measures like the New York’s Safe Act and Maryland’s Firearm Safety Act, contrary to the opinions of some. More work on the bill is needed. But, such work would, we feel, certainly be a worthwhile endeavor.